The price of a Ragdoll cat can vary depending on the pedigree, whether you plan to breed or show the cat, and any transportation costs. However, most purebred ragdoll kittens cost between $800 and $2.000. So, how much do Ragdoll kittens cost? When you are purchasing a ragdoll from a breeder, you are typically purchasing a kitten. Sometimes there are fully grown cats for sale, usually because a breeding animal has retired or because a kitten didn't sell for a particular reason and has matured into adulthood before sale. Cats should always cost less than the kittens because it is more difficult to introduce a cat into a new home than a kitten. Catteries don't typically vary too much when it comes to the price of their animals. Great discrepancies in pricing can throw off the market. Breeders usually like to be fair to one another and not promote unnecessary competition, so shopping around from breeder to breeder can give you a reasonable idea of fair pricing. Kittens that come from high-titled breeding lines can costs anywhere from $800.00 to $2,000.00, depending on whether the buyer is purchasing show rights. Do remember that shipping costs (where applicable) will increase the price of your kitten to some extent. 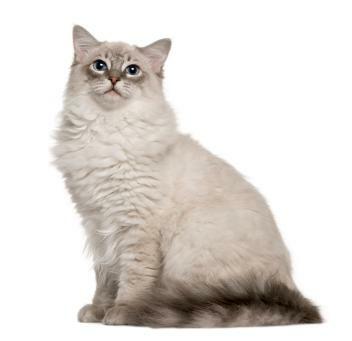 Familiarizing yourself with the Ragdoll breed is also a very important step in buyer protection. Some unethical breeders may attempt to sell a kitten that, although a descendent of flawlessly pedigreed lines, does not uphold the ragdoll traits for whatever reason. Buyers should never have to pay full price for a kitten that does not properly resemble its breed. It is generally inadvisable to purchase your kitten from a pet store. The animals sold in pet stores may often lack a proof of pedigree, and they are sometimes raised in unjust breeding environments that promote illness and deficiencies in the breeding lines. Pet stores generally do not provide buyers with a contract that illustrates the buyers' rights and expectations regarding their new kitten. Breeding contracts are meant for the protection of the animal as well as the buyer. Introducing a sick cat into your household may result in a flood of veterinary costs as well as a threat to otherwise healthy pets that may already live in your home. The breeding process is intended to preserve the inherent traits of breed, but it is also a business for the breeder. Breeding may not be a lucrative business, particularly for ethical breeders who are willing to sell their cats for the most reasonable prices, but it is a business nonetheless. The kittens sold are the commodity, and most breeders like to make a profit. Breeders spend a great deal of money traveling around and enrolling their breeding animals in cat shows. The titles earned during these shows determine how well a cat represents the breed standard. Every title earned costs the breeder in show and travel expenses, so it makes sense for the kittens of a Triple Grand Champion Ragdoll stud to cost more than the kittens of a mere Champion stud. A breeder whose cats have not achieved high titles in the competition circuit will not be able to sell her kittens at the same prices as a cattery that holds multiple titles. Do your research to get the best price on a ragdoll kitten or cat. While breeders charge similar prices, understanding what you're looking for can ensure you're getting the best cat for your money.